Neon art is having a moment in L.A. While it has yet to match the height of its ’80s stardom, the dynamic art form is getting the attention it deserves, largely thanks to the re-opening of the Museum of Neon Art in Glendale. After marveling at their current exhibition, She Bends: Women in Neon, we threw ourselves down a deep (but well-lit) Instagram rabbit hole of all things neon. To save you from enduring the same time-sucking fate, we’ve outlined our favorite local neon benders from our enlightening excavation. Lisa is known as the Neon Queen for a reason. She’s been a celebrated artist since neon’s heyday in the early ’80s, and she boasts one of the largest neon art collections in the world as the owner of a full-service neon manufacturing facility called Nights of Neon. If you’re looking for a guide into the wonderful world of neon, Lisa is a good place to start. Leticia is a newer artist in the neon scene who is known for her intricate rose designs. She got her start by relentlessly cold-calling local neon benders for mentorship until she found herself under the tutelage of Michael Flechtner (featured below), a master neon artist who has taken her under his wing for the past four years. Patrick gained a following with his bold neon phrases and his penchant for tackling political issues. Born and raised in the San Gabriel Valley, the artist uses his platform to tell the story of marginalized communities. He also caught Drake’s attention with his “Less Drake, More Tupac” piece, which the rapper allegedly bought for $6,000. Endless kudos for making “covfefe” look cool. 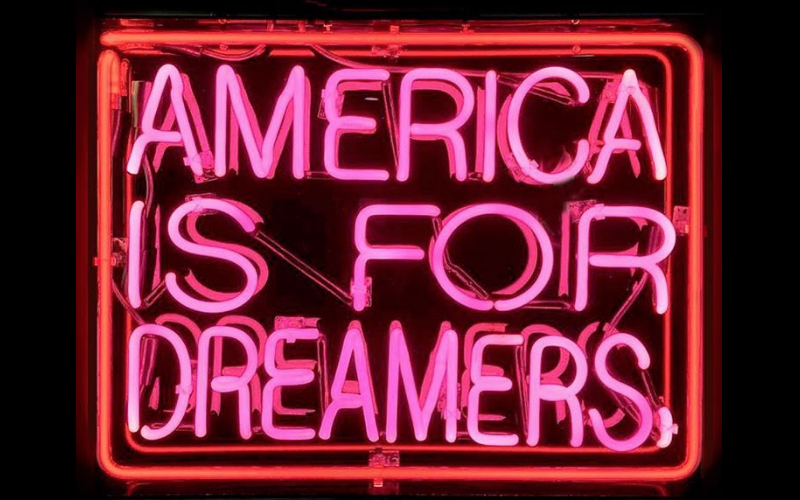 Michael is a well-known figure in the L.A. neon art world and has exhibited his pieces around the globe. His claim to fame, however, is designing the Celebrate! Forever stamp for the USPS. Linda is another long-standing name in the L.A. scene. Her pieces are abstract, whimsical, and technically mind-bending. Her bends look so effortlessly malleable, it’s easy to forget she’s working with glass. While Kate is technically based in NYC, her work is currently featured in the She Bends: Women in Neon exhibition and her feed is too good to pass up. Her femme fatale pieces give us endless inspo to channel our inner Lara Croft.